Mark Hoppe’s sublime season concluded at the final qualifying round of the championship with his fifth overall win of the year. Extremely dry and steep conditions saw him drop just twelve points over thirty long hills in his Dutton Melos. He shared the car with brother in law Shawn Franklin, who outclimbed him on the first hill but dropped back to fifth in a very competitive rear wheel drive class. Colin Reid returned in his VW Golf GTi, having rebuilt the engine, and also drove superbly, dominating the front wheel drive class to finish nearly forty points ahead of fellow Golf driver Simon Harris with Rupert North struggling in his little Mini. 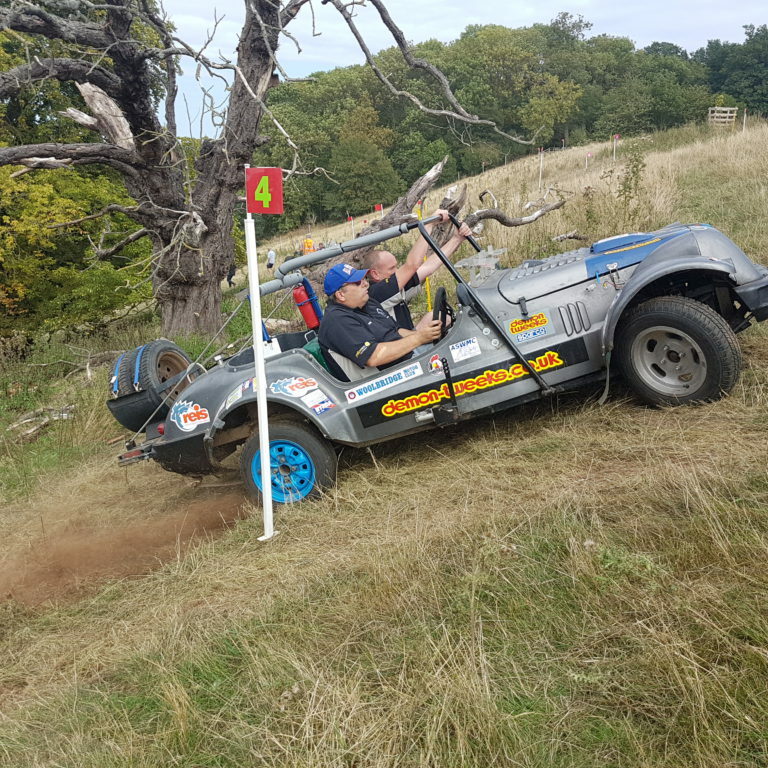 Trevor Moffatt was challenged all day by Nick Pollitt in the standard car class, finishing just seven points apart in third and fourth overall. Kevin Roberts was led most of the day by his young son Ifan but a front wishbone failure towards the end dropped them both back, handing the class win to Dave Oliver in his Imp on a tie break from Kevin. Oliver to Franklin covered by just five points following a fierce battle. After losing the Gaby Mohr trial this year, the Ernest Owen Memorial Trial will be the last opportunity to qualify for the end of season Grand Final Trial, so early entries are a must!